Driving off road on rough terrain can be troublesome in the first place but made even harder without adequate lighting. Investing into quality LED off road lights can enable you to have clear vision and spot potential hazards. The best off road light is the Nilight 180W Spot Flood Combo, which is a 180W LED light bar that is built to withstand heavy usage upon rugged terrain. When it comes to using off road lights, they must be durable enough to withstand impacts and rough usage. The most popular type is the LED light bar but you will want to ensure that the one you choose is suitable for off road use. Off road lights are usually two different types which are fog and spot lights. Using materials such as ABS plastic, steel, aluminum and other high quality metals, they are usually mounted above the windscreen. This gives clear vision of what lays ahead and are less likely to become damaged from rough road conditions. The main three choices for bulbs for your off road lights are halogen, HID and LED. Halogen bulbs are cheaper to buy but becoming less popular compared to HIDs and LEDs. The alternatives to halogen bulbs are both much brighter but LED lights are popular due to their low cost. Compared to standard additional lighting, off road alternatives must be able to withstand far more punishment. Below is a list of the best off road lights for your truck or 4×4 vehicle that you wish to use on rough terrain. Nilight is by far the most popular LED light bar brands that are suitable for a range of applications. Compared to other alternative light bars, this is designed to be driven upon rough terrain and withstand the off roading demands. The feature list of the Nilight is very comprehensive and shows its true ability. They are even able to withstand being under water by 1 meter for up to 30 minutes, which is great for those off roading within wet conditions. Overall, it is the best LED off road light that is built to last and available in a range of different sizes to suit your requirements. Rigid Industries are a reputable US brand that is known for its superior quality and have a strong following by enthusiasts. They come with a premium price tag but are built to last with excellent performance. As you would expect from any Rigid Industries products, the D2-Series follows their excellent reputation. These off road lights are built to the highest standards with components such as cast aluminum housing to custom molded seals to improve its longevity. They do come with a high price tag but they are a worthwhile investment that won’t disappoint and provide you with maximum visibility. The premium KC HiLites Apollo Pro lighting is available as a fog, spot or spread system depending upon the type of extra vision you require. You also have the option to purchase them as a single or pair of lights. Some people may be put off by the halogen bulb instead of a LED alternative. However, if you are planning on using these off road lights in the snow, they will help melt the ice as LED does not emit any heat. Overall, they are the best off road spot lights that provide excellent forward vision whilst off roading in tough conditions. For those looking for affordable off road lights to add to their truck or 4×4 vehicle, the Auxbeam lights are a great option. Unlike many of the other cheap alternatives available, these actually perform and use high quality materials. Overall, they are by far the best cheap off road lights on the market that will are suitable for a range of applications. The Auxbeam lights also come with all the hardware that you need to install them and they can be adjusted by 45 degrees too. If you want even more value for the money, you could opt for the complete package by Bangbangche. Included are four 18W flood LED pods and a light bar, which combined together will provide excellent forward vision when off roading. Compared to most other complete off road light kits, the Bangbangche is by far the “best bang for your buck” and has similar performance to many of the premium alternatives. It also comes with a 1 year warranty for peace of mind and overall, these off road lights are great all-rounders. 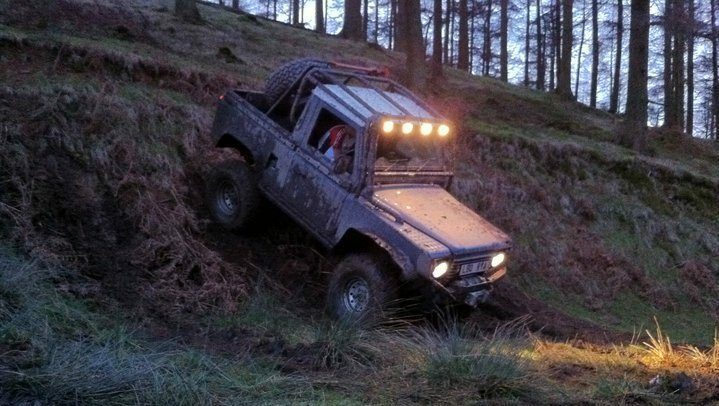 When off roading, the light conditions can be fairly dark even at the best of times. Investing into quality off road lights that are designed to enhance your forward vision can make a huge improvement to your experience. 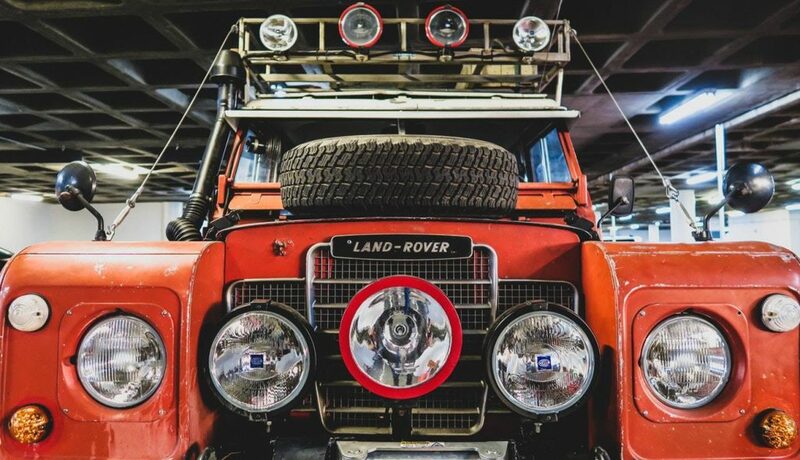 There are a range of off road light types to choose from but most enthusiasts will stick to either a light bar or pods. Light bars are often installed on the front bumper or above the windshield whereas the pods can be installed pretty much anywhere. To help you make an informed buying decision regarding off roading lights, we have produced the below buying guide. All of our recommendations within this article are designed for off road usage. This means that they use a far superior materials designed to withstand the rough conditions that you would expect within an off road environment. There will be many cheaper alternatives available but these will not last when driven on rough terrain. The constant vibrations, heavy impact, poor weather conditions and other variables will cause non-off roading lights to break easily. When it comes to deciding upon the different types of beam patterns, you have four choices that include flood, spot, driving and spread. Most off road lights use a spot beam pattern as they provide a much greater range. The beam angle is much narrower at approximately 45 degrees, which provides a cone of light. Flood alternatives produce a large quantity of light that is spread over a 120 degree angle in order to cover a much larger space. Having a mixture of the two beam patterns is the best option for perfect forward vision. You can also install aftermarket fog lights as an alternative to surface mounted off road lights, which is a very popular addition too. As you will be using these lights off road, there are no limits to how bright you can go. This means you could even retrofit a HID kit into the light housing if you wanted additional light. However, most off road lights are already bright enough with the majority having 5,000 Lumens and above. Depending upon whether you opt for a halogen or LED will make a big difference to the wattage of the light. Limiting the amount of power will increase the longevity of the lights and reduce the heat that its output. It will also be far less draw upon your car batteries, which could pose as a problem to older vehicles. When it comes to installing the off road lights, there are numerous locations to mount them. The most popular locations include above the windshield, A pillar and on the front bumper. Of course, you can become fairly unique by placing them in alternative locations such as on a roof rack or even on the fenders. Unless you have installed a lift kit or the 4×4 vehicle is already high, you may be best mounting them higher up. If they are too low to the ground, the likelihood of them becoming damaged is increased. Installing off road lights yourself will require some knowledge of wiring and confidence in drilling into the vehicle. If you feel that you don’t posses these traits, it would be advised to seek help from a professional. Disconnect The Battery. For safety reason, ensure that there is no current flowing before starting any work. Determine Which Light To Use. Whether its a roof, windshield or bumper light, it needs to be purchased before you start work. Mark Specific Location Of Light. Drilling will be required, therefore mark with masking tape the exact locations to drill into the vehicle. Ensure there is no headliner or objects that will be damaged from the drilling. If so, change the mounting location that has more leeway for when the drill piece penetrates. Drill Into Markings. Using an exact drill piece, drill into the markings but do not go too far! Use Rust Protection Paint On Metal. The metal will now be exposed and will require a rust prevention paint to prevent rust forming. Mount The Off Road Light. Using the bolts and fixings that came with the light begin to fit it. Use silicone in the drill holes to prevent any water leaks and install a grommet in the wiring hole and pull the wires through and seal it. Select Location For Light Switch. You will want the switch to be accessible to the driver and be able to install wires to the switch to the battery and to the light. Connect Wires From Light Switch To Light. Connect the ground wire and then the power wire to the switch. Use provided connectors if the off road light provides them. Connect Wires From Light Switch To Battery. Connect the switch wire to the battery and ensure that it is a fused connection for safety reasons. Reconnect Battery. Once you are happy, test the lights works by reconnecting the battery. The 10 step guide above should provide you with a glimpse of what is involved during the installation process. It certainly is a DIY tasks that most people will be able to do and the place you mount the light will play a big part to the ease of the install. If you have drilled into any areas of the cars bodywork, we highly recommend using rust prevention spray on the exposed metal. Failing to do this could cause corrosion and further problems in the future. Installing off road lights is a very popular modification among enthusiasts. Improving your forward vision helps you to see the road more clearly as well as potential hazards. You can even install a LED tailgate light bar for clearer vision behind your vehicle too. All of our recommendations cover a range of different types, performance ratings and of course budget. It may be tempting choosing the cheaper option but durability can be a big problem and cost you more when they break. Many thanks for the article. I would like to ask if there are car lights / LED that work with batteries to avoid wiring!